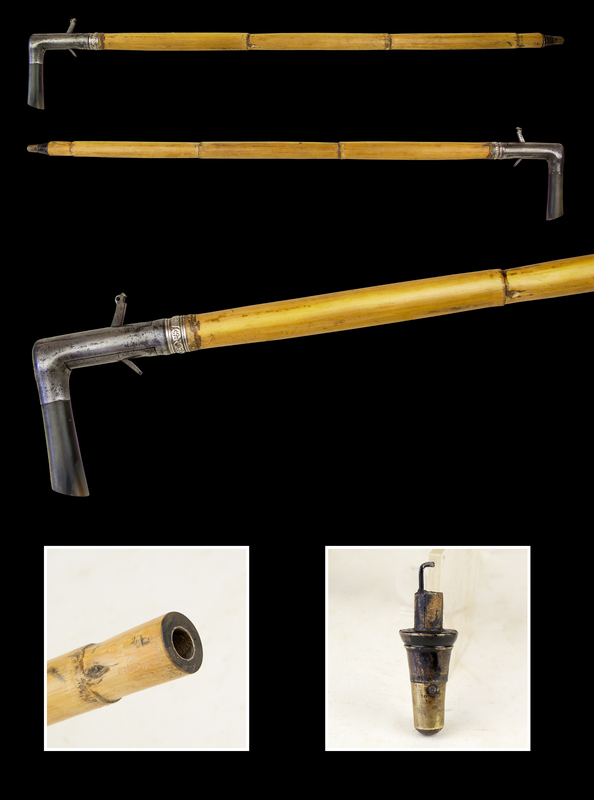 PLEASE CLICK IMAGE TO VIEW - VERY RARE 14MM PIN-FIRE WALKING CANE GUN CIRCA 1865 - with 75cm barrel encased in bamboo, embossed silver coller at the breach, sliding breach block retained by an elevating pin, drop down trigger activated by cocking the hammer with the hooked barrel bung and tapering grip in horn with small almost invisible repair. 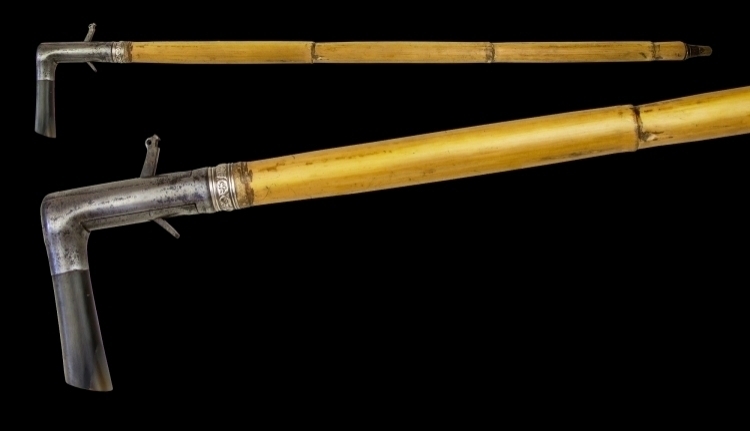 In good condition with strong action and bore in almost perfect condition. 88.5cm overall.